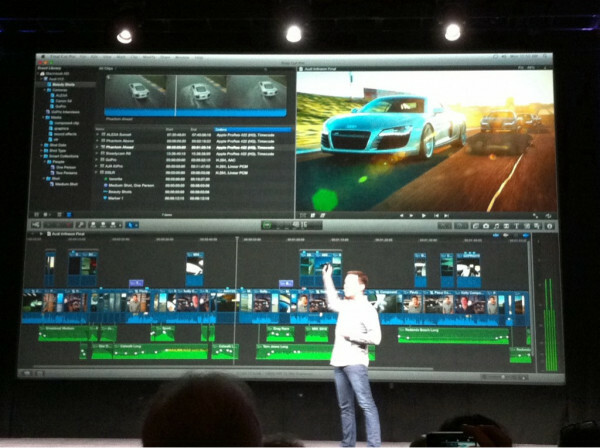 The software demoed was currently in beta, but it’ll be available on June 9th for… $299. 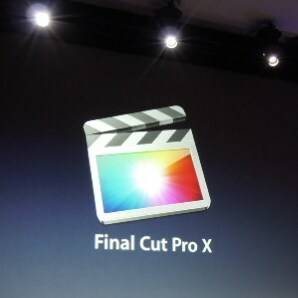 That’s really cheap, although it replaces the cheaper Final Cut Express, and Adobe should be coming out with a new version of Premiere Elements soon as well. 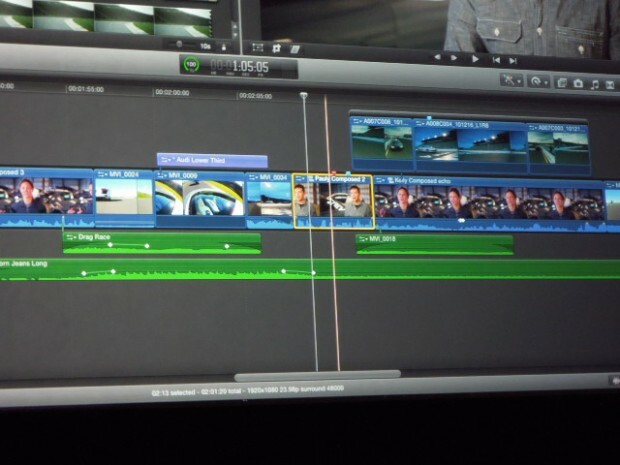 More info to be added as soon as Apple provides it, specifically info on the rest of the Final Cut Studio suite of applications. We’ve heard we should “stay tuned” regarding those products; I’m guessing they’re not quite ready for their close-up. With new pricing, I’d be surprised to see the rest of the apps go for more than $200 total, if that. 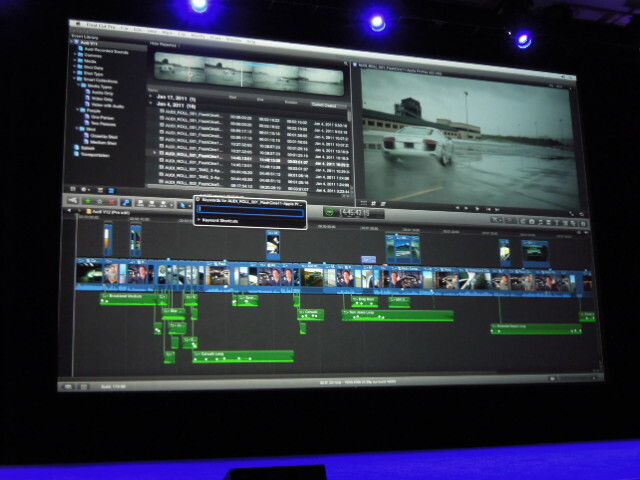 Apple’s doing (in my opinion) the right thing for monetization of this segment: push for volume and accessibility, pull in the enthusiast and prosumer market that couldn’t afford the original FCP and doesn’t want to go Adobe.